The “SE” Series are manual reset, modular ball detent torque limiters. 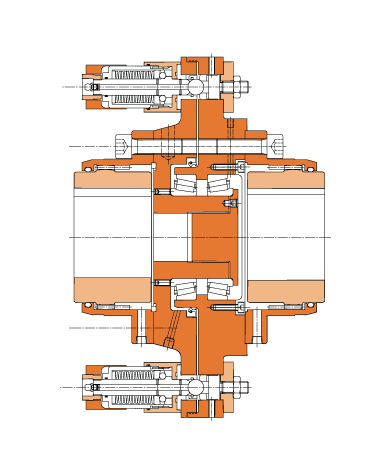 They are mounted between coupling halves, or U-joint flanges or other arrangements. The module construction allows assemblies of unlimited torque capacity, protecting the largest drive lines made.